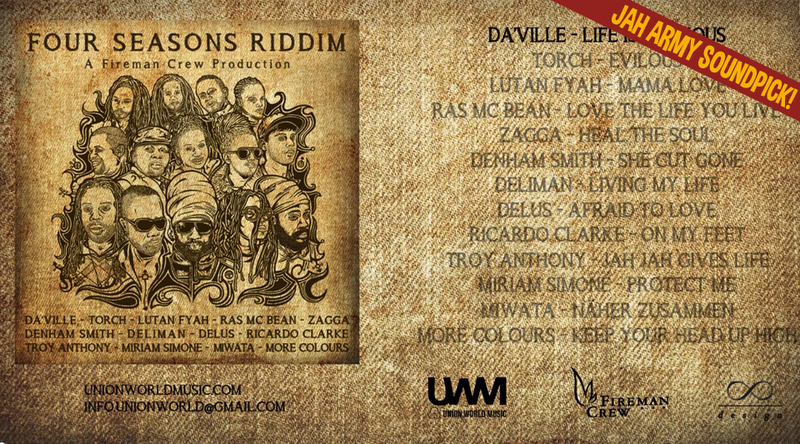 Listen to the brandnew megamix of the FOUR SEASONS RIDDIM SELECTION. This up-tempo one drop modern roots riddim is played and produced by the Fireman Crew, a backing band and production team from Austria. Head and Founder of Jah Army Highwear. Longtime selecta with Jah Army High-Fi, Jah Army Sound & Real Rockers Crew.